Throughout high school, I would become physically ill every term just before everything was due. Sometimes just before only one assignment was due which meant I’d get sick a few times a term. I went through high school with a myriad of doctor’s notes trailing behind me. There was always a polite letter to excuse my short absences, because I really was sick, and we really wanted to know what exactly it was that I was sick with. The answer wasn’t coming up in any test, and nothing made me better. At the beginning of year 12, it was all becoming too much and I was on the verge of dropping out of school when I was finally diagnosed with Generalised Anxiety Disorder. There are three million Australians currently experiencing anxiety or depression, but despite the staggering numbers, often people with mental health problems don’t get the support they need. 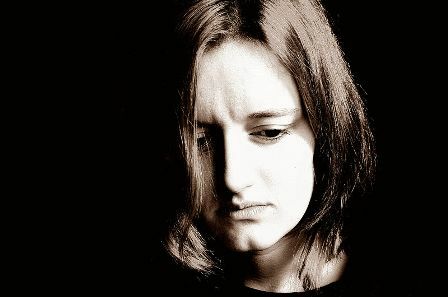 One in three women and one in five men are affected by anxiety throughout their lives. Everyone experiences stress and general feelings of anxiety in certain situations, but it’s when these feelings don’t go away that they start to become a problem. Persistent and excessive worrying is a key characteristic of an anxiety disorder, but not the only symptom. People with anxiety disorders tend to have problems relaxing and sleeping, avoid situations and tasks that they find challenging, have trouble concentrating and paying attention, suffer panic attacks, and become socially withdrawn. Different anxiety disorders will have slightly different symptoms, but these are the most common ones. Many people with anxiety, particularly young people, also have symptoms of depression at the same time, without actually having depression. I mentioned Generalised Anxiety Disorder before, sometimes shortened to GAD, which is the first in a list of several anxiety disorders that people are diagnosed with. The symptoms listed above can apply to those who have GAD; sufferers tend to worry about life in general, such as work and school, money, and relationships. If someone has a specific phobia, such as arachnophobia, the fear of spiders, that is an anxiety disorder. Some people have only one phobia and never bother seeking help for it, as it doesn’t affect their lives too much. Other people have many phobias or have phobias combined with other anxiety disorders or other mental illnesses and seek treatment. Panic Disorder is similar to GAD, but instead of having general anxiety, it’s characterised by panic attacks and fear of having more panic attacks. Obsessive-Compulsive Disorder, or OCD, is often portrayed incorrectly in media, but can be a very serious anxiety disorder. It is defined by unwanted thoughts (obsessions) and the resulting unwanted actions (compulsions). Compulsions can include cleaning, counting things or arranging them in certain patterns, among others. Post-Traumatic Stress Disorder, or PTSD, involves ‘replaying’ unwanted memories, checking for danger, and problems with sleeping. If someone you know has anxiety, it is not a simple matter of them calming down or facing their fears. Many analogies have been created over the years to try to show how it feels to be suffering from anxiety or to be having a panic attack. There’s an entire BuzzFeed article of comics that attempt to relate the anxiety of the creators to their audiences. Offering support and understanding to someone with anxiety, particularly through rough patches, is important to help them cope and heal. If you have anxiety, there are many ways to alleviate stress and places to go get help. If you go to see a doctor, anxiety disorders, particularly if they’re moderate to severe, can be treated with a combination of antidepressants and psychological therapy. Therapies might include Cognitive Behaviour Therapy (CBT), mindfulness meditation, and interpersonal therapy. Doctors and psychologists will also often tell you to avoid excessive drug and alcohol consumption. Drugs and booze will make you feel better in the short term, but long term can lead to more problems such as addiction, higher anxiety, and other mental illnesses. There are non-medical approaches to alleviate anxiety as well. Finding a network of friends and family that you can rely on is extremely important. Just like if you broke an arm or had the flu, when your anxiety spikes, you’ll probably need someone to help you out and get you back on track. While physical health problems can be more obvious for friends and family to see you’re struggling, mental health problems can be just as debilitating when it comes to going to work or simply getting out of bed. Find people who can comfortably ask for help. They might be the same people who you’d ask to help you if you were stuck in bed with the flu, or they might not be. When you’re doing better, remember to take time to relax, whether that’s listening to music or reading or watching a movie or simply meditating and thinking of nothing. Finally, eat healthily, and remember to exercise a bit. The body and mind are incredibly connected, and your physical health will be one less thing to worry about. Always speak to your local medical professional. Cin will be back on Lip next fortnight with another instalment of ‘Well…What?’ Stay Tuned, Lipsters! This entry was posted in Column, Health and tagged anxiety, column, health, mental health. Bookmark the permalink.